Is there another run of these planned for 2018? Nik, can I just ask... for proper fit with these, is the very bottom button over your navel? I just picked up two of Simon's leftover Meltons, one size 38, the other size 40. Both fit me broadly well, but I'm just unsure regarding length. (11-09-2017, 04:57 AM)Blakesby Wrote: Nik, can I just ask... for proper fit with these, is the very bottom button over your navel? I think they're designed to fit a tad longer. At any rate the sample I'm wearing is a size too big on me. Go for the smaller size if it fits you. I think it's a patter grading thing. The picture BK posted on facebook looks spot on. Really great! The pics on you (Nik) looked great too. The waistcoat I got in my big size feels defo too long and spreads quite a bit when I leave the bottom button open. If is was shorter (and therefore end higher on my body) there would be less spreading. I always found them too long to be honest. That's why I didn't get one and also I wasn't sold on the contrast between colours. I liked the look of them very much and especially the plum/brown combo but also found them too long when I tried one on. Maybe it has it's place more as an outerwear item thrown over a jumper. Would definitely be interested in a new run in a proper short length, and new colour schemes, but on a low priority basis. I would agree they were slightly too long (only just too long on me), but too long is certainly better than too short. I wonder about length in waistcoats; waistcoats at the correct length will be too short to meet the normals' trouser waistbands (though that doesn't see to stop them wearing waistcoats with, often ,three inches of shirt showing between waistcoat and trouser.) Maybe the option of a longer fitting might be a good idea, subject to minimums. Either way, I missed these when they were out because I'd putg the budget into something else; I'm keen on seeing some of these offered again. (01-22-2018, 12:50 PM)Edward Wrote: I wonder about length in waistcoats; waistcoats at the correct length will be too short to meet the normals' trouser waistbands (though that doesn't see to stop them wearing waistcoats with, often ,three inches of shirt showing between waistcoat and trouser.) Maybe the option of a longer fitting might be a good idea, subject to minimums. I don't think SJC needs to compromise on a proper lenght waistcoat to please regular crowd wearing low rise trousers/jeans. Instead SJC should push customers to buy their trousers which are the proper rise for the waistcoats. "I don't think SJC needs to compromise on a proper lenght waistcoat to please regular crowd wearing low rise trousers/jeans. Instead SJC should push customers to buy their trousers which are the proper rise for the waistcoats." If Simon can sell 250 waistcoats to people who wear high rise trousers, or 500 waistcoats to people who wear low rise trousers, which one is best for SJC? Waistcoats for people who wear low rise trousers can be bought from many vendors. SJC's USP is that Simon offers something the others do not. I feel that bowing to modern pressures would dilute that USP to the detriment of the brand. (01-23-2018, 09:01 AM)Sean Longden Wrote: "I don't think SJC needs to compromise on a proper lenght waistcoat to please regular crowd wearing low rise trousers/jeans. Instead SJC should push customers to buy their trousers which are the proper rise for the waistcoats." 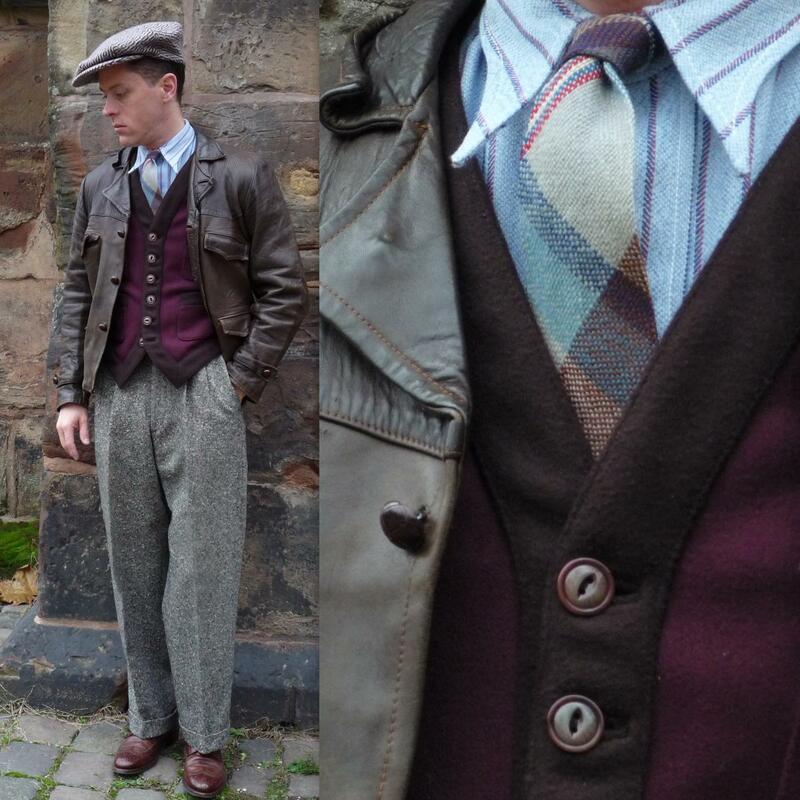 If you make waistcoats for the low rise trousers wearers you're going to lose the customer base who buys SJC trousers and wears high rise trousers (Vintage or from other brands) who is demanding this kind of Workwear waistcoat in the first place. The market for a melton waistcoat in the mainstream fashion doesn't seem to be there so I don't think those numbers would be close to real. For example: Why does SJC bother to do accurate work shirts with long tails when the mainstream market doesn't want long skirts? I know for a fact that some people didn't buy the first round of work shirts because they found them too long and baggy to tuck in with denim or to wear them untucked because of their low rise but I don't see Simon compromising in that regard to gather for a wider audience. So the question is: Compromise or not compromise? What can't be done is compromise in a niche product like the waistcoat while not doing so in a product that could reach a wider market like shirts. A middle point can be found and probably should be found but attending to the "needs" of mainstream and low rise trousers only I think would be a bad path to follow because then it leaves a gap for the SJC customer who buys the trousers that match perfectly a mid lenght workwear waistcoat. In my opinion all SJC products should compliment each other and choosing to neglect that can lead to disappointment. "For example: Why does SJC bother to do accurate work shirts with long tails when the mainstream market doesn't want long skirts? I know for a fact that some people didn't buy the first round of work shirts because they found them too long and baggy to tuck in with denim or to wear them untucked because of their low rise but I don't see Simon compromising in that regard to gather for a wider audience." I would have to check, but I thought this year's work-shirts were shorter than last years. "The market for a melton waistcoat in the mainstream fashion doesn't seem to be there so I don't think those numbers would be close to real." 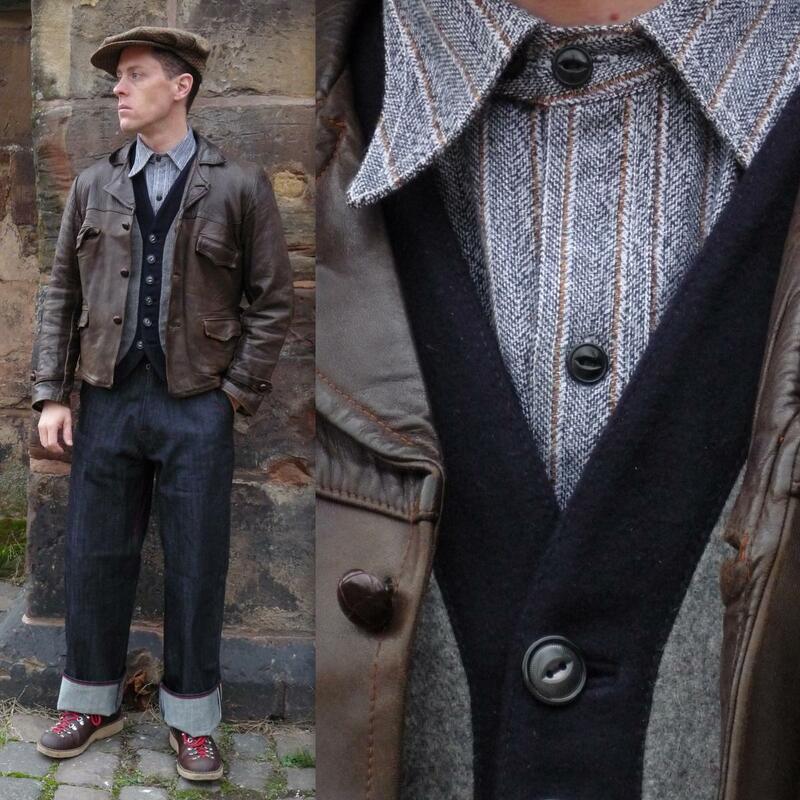 There is a difference between the 'mainstream' market and the market for workwear styles (such as the customers at American Classics who thought Simon's shirts were too long) that are not as particular about historical authenticity as those of us on this forum would demand.